Upon entering the office, we have some brief paperwork for you to fill out. The paperwork provides us with general information about yourself and your condition. You can also fill out our on line questionnaire or have your paperwork mailed or emailed to your home. Once the paperwork has been completed, you will have a consultation with the doctor to discuss your health-related problems, concerns and potential treatment options. Your specific condition may require us to order lab work or x-rays to either rule out more serious conditions or assist us in developing the most effective treatment plan for you. In this case you may be referred to an outside lab or to your healthcare system to have these tests. Once finished with the examination and all appropriate studies, patients will generally be provided with their first treatment during this same visit. 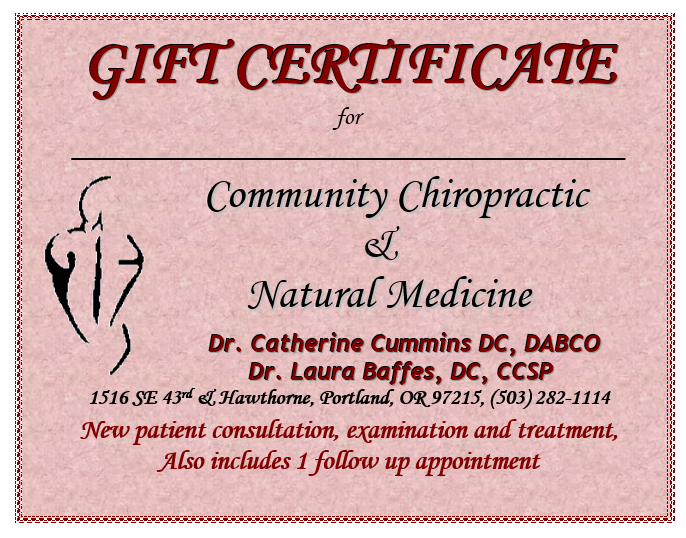 This may include spinal adjustments, physical therapies, soft tissue therapies and/or supplements or diet advise. We welcome the opportunity to work with all healthcare providers and also might suggest co-treatment with other professionals to best serve your needs. You will be given a convenient appointment time for your follow-up visit. Generally speaking, patients are seen within the week and are provided with a complete review of findings. Treatment options for your condition will also be discussed during this time.